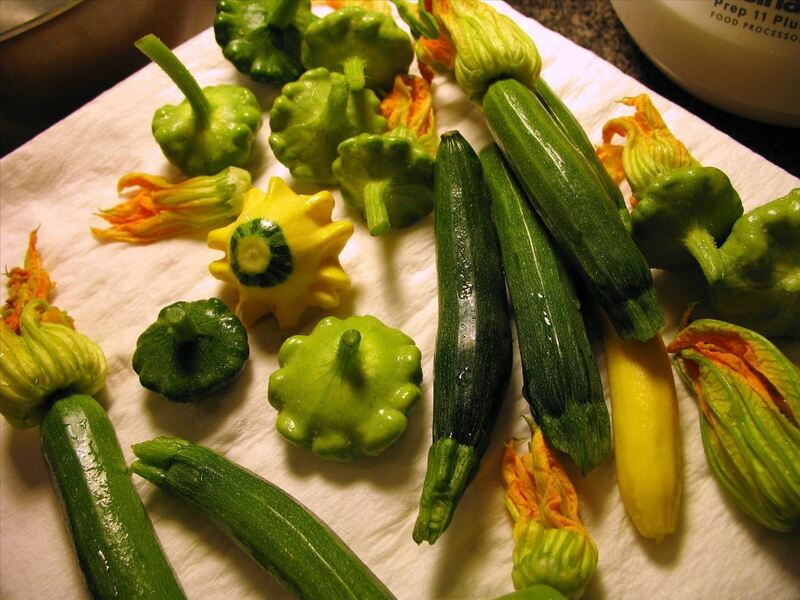 Actually, all summer squashes produce these delightful blooms, but the zucchini's are most frequently used for eating since they taste the best: fresh, clean, and zucchini-like, but with a little something extra. They used to be a rarity at supermarkets, so you had to have a garden or a gardener friend who would generously share the bounty with you. Thankfully, that's not the case any more. Many farmer's markets carry them when they're in season (generally at the start of summer around the end of May or early June). However, their growing time is short—a few weeks at most. If you're lucky enough to have a garden and smart enough to grow your own vegetables, use this guide on how and when to pick them for optimum flavor. 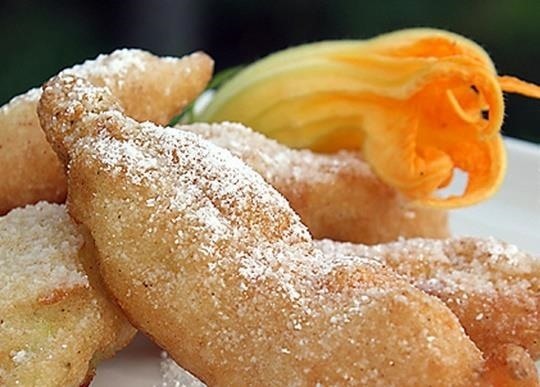 The most common recipe for zucchini blossoms is to dredge them in batter, deep fry them, and stuff them with cheese. There's also Dorie Greenspan's variation, which replaces the cheese with shrimp. While both these recipes are delicious, they seem like a waste of the delicate beauty and taste of the blossom itself, which get lost in the deep-frying process. 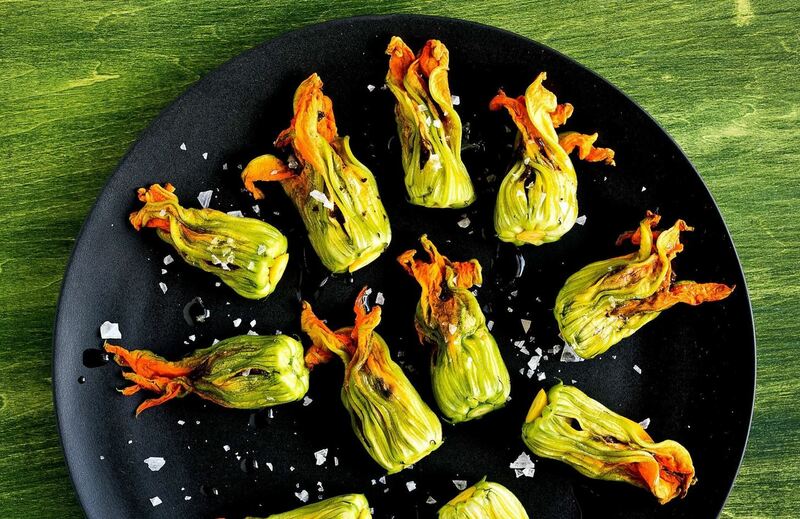 Zucchini flowers really shine when they're treated gently. Melissa Clark of The New York Times recommends using them in salads, where their sweet, subtle taste will contrast well with greens like arugula, which has a peppery bite. She also made a variation of the classic cheese-stuffed deep fried blossoms by filling the flowers with oozy, creamy burrata cheese and dressing them with good olive oil and sea salt. There's also this luscious zucchini blossom pasta sauce, which uses saffron alongside the blossoms to produce a rich, unique taste. Alas, the blossoms get cut up in the process, but what you lose in beauty you make up for in flavor. 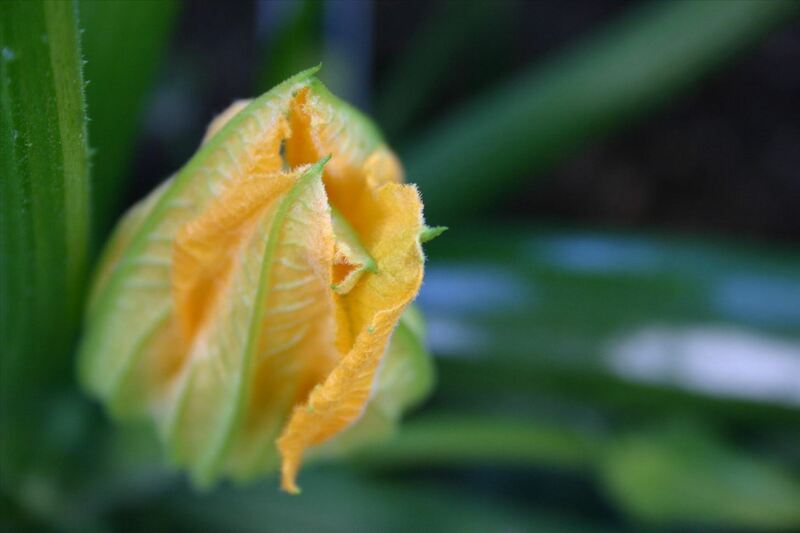 There's also one of my personal favorites, fiori dolci, or sweet squash blossoms. These are dredged in a very light, sweet batter and, yes, deep-fried. Bell'alimento has a great recipe here (via HuffPo). So mark your calendars now and be sure to keep an eye out at your local farmer's markets when summer begins. 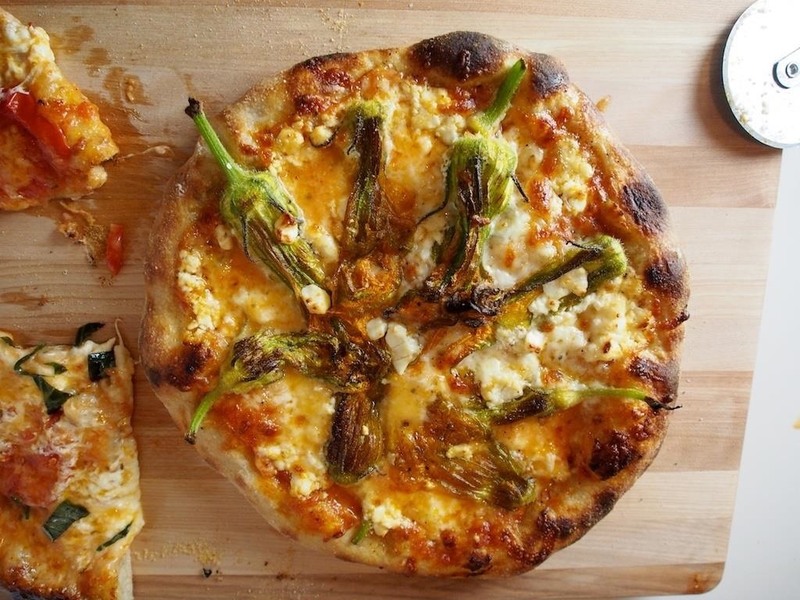 Once zucchini blossoms come into season, you're going to want every last one. Knowing about unusual ingredients can make you a better, more interesting cook. This mushroom tastes like candy and is a great addition to desserts. Romanesco cauliflower might be the most beautiful vegetable you're not eating. Ancient grains like freekeh make a great change from the usual side dishes, while more and more people are adding charcoal to their recipes.